A new report shows that after an unprecedented period of success in controlling malaria outbreaks, progress has stalled. The World Malaria Report 2018 aggregated data from 91 countries and areas with ongoing malaria transmission. This World Health Organization (WHO) report says there were an estimated 219 million malaria cases and 435,000 related deaths in 2017. Which means, there was no significant reduction in the number of malaria cases reported during 2015-2017. And, the world is unlikely to achieve the WHO’s Global strategy for malaria morbidity and mortality reduction targets for 2020. Malaria is a mosquito-borne disease caused by a parasite. People with malaria often experience fever, chills, and flu-like illness. Left untreated, they may develop severe complications and die, says the US Centers for Disease Control and Prevention (CDC). In the USA, about 1,700 cases of malaria are diagnosed each year. 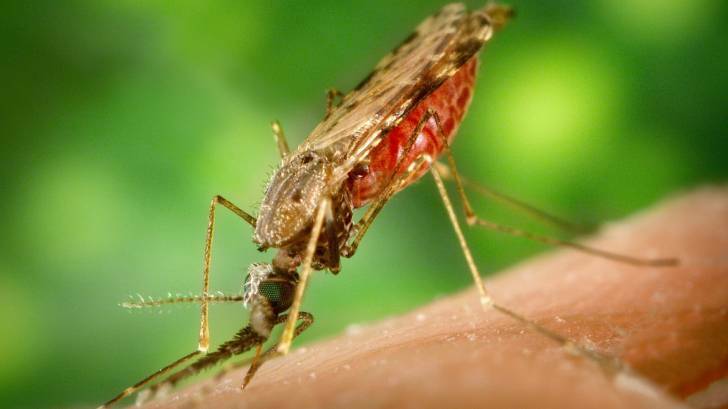 The vast majority of cases in the United States are reported in people returning from countries where malaria transmission occurs, says the CDC. Moreover, since there is not an approved preventive malaria vaccine available today, protective actions are needed to stay healthy while traveling, and upon returning home. The Drugs for Malaria Prevention table provides prescription dosing information for both adults and children. During August 2018, the U.S. Food and Drug Administration (FDA) approved ARAKODA (tafenoquine) 100 mg tablets for oral use. To prepare for an international trip, USA citizens can easily schedule a pre-trip malaria medication review from local pharmacies at Vax-Before-Travel.